The e-commerce giant launched Alizila with an interview with CEO Jack Ma and a four-strong team of senior journalists as it prepares for the first G20 summit to be held in China. 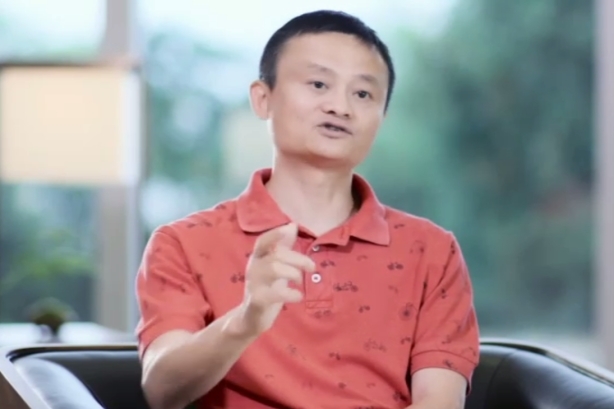 HANGZHOU, CHINA: Alibaba last week launched a revamped version of its corporate website, Alizila, ahead of the G20 summit taking place September 4-5 in its hometown of Hangzhou in the east of China. Launched circa 2009, Alizila served as a hub for media, investors, businesses, and potential customers. The revamp has been in the works for the better part of the year, and is meant to burnish the website and retool it for the company’s business goals. Alizila is staffed by four ex-journalists, based in China: Jim Erickson, founding and managing editor, who worked as a senior business and tech editor for Time’s Asia and international editions; executive producer Julie Huang Tsang, who is an alum of NBC Nightly News, Channel One, and CNET News.com; content producer Susan Wang, who worked for CNN’s Beijing bureau; and content manager Tom Brennan, who worked at Forbes.com, CNBC.com, and The American Lawyer. "It is how we bring China and Alibaba to people outside the country," said Erica Matthews, head of corporate relations at the Chinese e-commerce behemoth. "Alizila existed before our function was even set up and the company went public. When we took over, it had been underinvested in and we needed to shine it up and bring it to its full potential." The site’s content is now tailored more toward what its audiences want to understand, "rather than being event- or announcement-driven," Matthews said. She went on to explain editorial content has shifted to include Alibaba’s globalization efforts, its ecosystem, and China market insights. In addition, Alizila has "greater social integration, more multimedia content, and is search-engine optimized." It also started a blog series called "AliViews," featuring the perspectives of its executives. Alizila publishes more behind-the-scenes content, such as an interview with a P&G executive about how the consumer goods company is working with Alibaba. The media has sometimes viewed corporate websites with wariness and with a long list of grievances against them. "We stick to that editorial voice on Alizila, which the media appreciates, because all of our stuff can be taken and re-used verbatim," Matthews said. "We are not precious about it; we want it to be used as a resource." The re-launch of Alizila featured a video interview with Alibaba CEO Jack Ma, where he discusses why Hangzhou was chosen over other major cities in China and its historical significance as the site where President Nixon reopened U.S.-China relations in 1972. As the G20 summit approaches, attendees have lashed out against the host country, while Hangzhou itself has emphasized its cultural history and current economic standing in the world. Hangzhou has particularly highlighted the success of its tech companies, such as Alibaba, which in Q2 enjoyed a 59% year-over-year revenue increase and 39% year-over-year increase in its user base. Matthews is part of Alibaba’s San Francisco-based international corporate affairs team, which is overseen by Jennifer Kuperman, who replaced Jim Wilkinson in April as head of international corporate communications. In her position as part of Kuperman’s team, Matthews oversees content development, including Alizila, and influencer strategy. Wilkinson has since gone on to start his own comms firm, TrailRunner International, which has offices in San Francisco, New York, Washington DC, Beijing, and Truckee, California. Meanwhile, PRWeek confirmed Alibaba is shopping around for a U.S. PR agency to handle a possible project for Singles Day to educate the marketplace about the company. "We’re mistakenly called the Amazon of China, but we’re really the gateway to China, which is different from other e-commerce companies," said Robert Christie, VP of international media at Alibaba, adding that the assignment is a "small eight-week project." "This is not about finding an AOR," he added. "Our investor base is largely on the east coast and our customers are mostly in China. This is about helping to make them smarter and more thoughtful about our business."